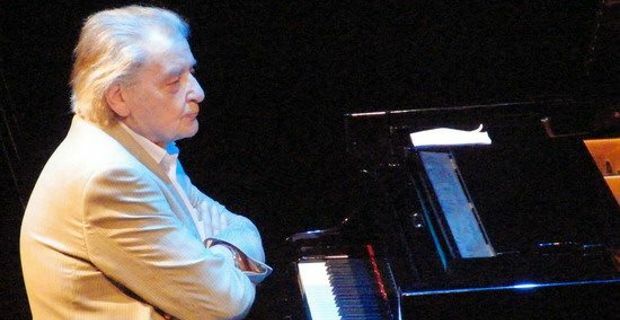 Celebrated British pianist and composer Stan Tracey died at the age of 86. His son, jazz drummer Clark Tracey, announced his departure yesterday and said: "Stanley William Tracey passed away peacefully this afternoon. Finally the pain has gone and he can rest in peace." A much celebrated figure of British jazz scene, Londoner Stan Tracey enjoyed a career spanning over seven decades, during which he won huge acclaim and a host of awards. Tracey's amazing musical journey begun in a gypsy accordion band, where he played as a youth. He started to play the piano towards the end of World War Two, just before finding himself enlisted in the Royal Air Force. Back in London in the years following the war he met Ronnie Scott who encouraged him into considering a full-time career as a jazz musician. He first joined the Ted Heath dance orchestra then took the position of resident pianist at Ronnie Scott's jazz club from 1959-66. He made numerous recordings and is best known for his mid-1960s suite inspired by the Dylan Thomas drama Under Milk Wood. Amongst the awards he received during his career are included the first Ivor Novello award for jazz in 2012. He was also nominated for the Mercury Prize in 1993 for his album Portraits Plus and was awarded an OBE in 1986. "His very latest work the Flying Pig was inspired by the humour of British soldiers in the trenches in World War One,” he continued, “and it's a remarkable composing career, to have such acclaimed works from either end of a 50 year span. He'll be sorely missed."